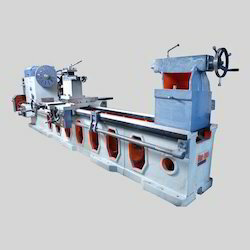 We are engaged in the manufacturing of premium quality Lathe Machine. Our products are valued for their durability and performance in numerous manufacturing industries across the country. We deals with Lathe Equipment, which is available in various shapes and sizes in accordance with the requirement of our clients. Our such equipment are very efficient in performance and does not require any maintenance for years. The offered products are fabricated under the supervision of professionals with considerable amount of precision. As improvements are constantly made in our machines, the above illustrations, specifications, dimensions and technical data are subject to modifications and change without prior notice and not binding on us. The descriptions of standard accessories confirms to it's list and not the photograph of the machines shown in the catalog. 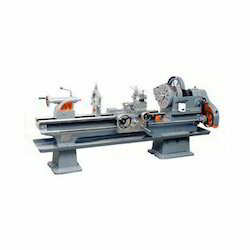 Known for the high level of efficiency this Boring Lathe Machine provides, this product is highly asked for in the market. Manufactured using high quality raw materials and a number of advanced machinery, this product, post production, is processed through a number of quality checks for the purpose of quality assurance. This product is provided by us in various specifications depending on the requirements of the clients. It is highly sturdy and durable in nature. Drive Counter to spindle B - 48 x 2 no. Counter to motor B - 57 x 2 no. General Floor space (LxWxH) 65" x 39" x 55"
The manufacturing of this Duty Lathe Machine involves using of high quality raw materials and several modern machinery. This product is provided to our clients in dimensions specified by them. The products are widely known for their sturdiness and effectiveness. Being one of the leading manufacturers of these products, we believe quality to be of priority, and thus we process these products through a number of quality checks. This product is used for the purpose of internal and external tapering or slotting. 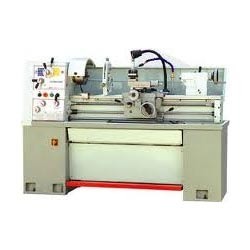 General Floor space (LxWxH) 76" x 39" x 55"
This Tool Room Lathe Machine is known for its powerful head stock, excellent rotating accuracy, and smooth performance producing a minimum amount of noise. This product is overload protected and is widely used in various industries. We manufacture this product using high quality raw materials and a number of high tech machinery. This product, after the production process, is sent for several quality examinations in order to ensure the quality that we provide. Made available in various specifications, this product is provided to the clients as per their needs. 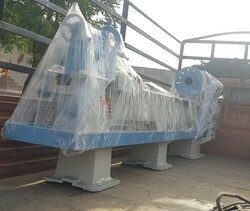 We are one of the leading manufacturers, suppliers, and exporters of Special Purpose Machine, which is highly demanded in the industry because of its specific construction and robustness. Appreciated for providing supreme productivity and functionality, these special purpose machines are made available in different dimensions so as to cater to the diverse requirements of our valuable clients. 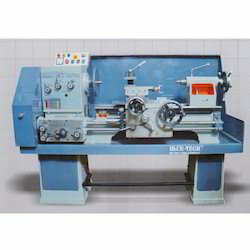 This Educational Lathe Machine manufactured by us is known for the high level of efficiency it provides. The product is widely used for the purpose of educating as well as cutting and bending of various products. Manufactured using high quality raw materials and a number of advanced machinery, this product, after the production process, is sent for a number of quality checks as we consider quality to be our priority. This product is highly demanded in the market because of its quality and reasonable pricing.